Love speed, high stability & maneuverability, love the GTR! The GTR designed to get you to the top! The risers have a fast trim mechanism that can slow the wing in an instant and the speedbar can be used in all trim positions with impunity. This is known as the PK system. I am about to pay﻿ $2500 for 1 week, in Victoria Australia. It is very exeinspve, where would I pay 150 euro and would it be in English? It would be more exeinspve with the trip, but I wouldn't mind the holiday. 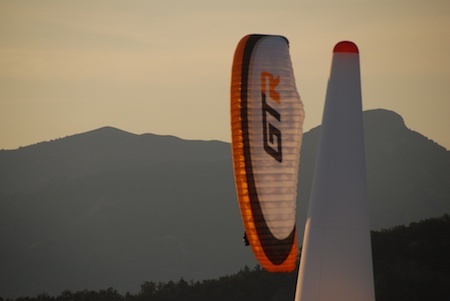 Click the button below to add the Paramania Action GTR Paraglider to your wish list.